You must be a member of the Dallas Cook and Share Group to attend this activity. Would you like to join this group? It may not be The World Cup but America's big game is less than two weeks away. 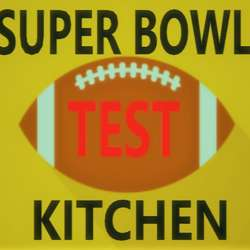 What better time than to test out your Super Bowl dishes than a week early on your fellow Cook and Share members! 1. If you sign up, show up, or cancel your attendance at least 2 days prior so another member may attend in your place and have time to think of and prepare a dish to share. 2. Please make a Protected content dish to share. 3. Please bring your beverage of choice. 4. Host will provide dishes, water, etc.